But I Don’t Want to Go to Gym Class… - Energetic Juniors - Contact Us! In school, gym class can become quite the dreaded and nerve-wracking place for many. Some kids may be naturally competitive and gifted in athletics while other kids gifts lie elsewhere. Similar to any other skill, athleticism is not for everyone. At a young age, kids may feel self-conscious and upset when they aren’t as fast or strong as their classmates. The truth is- the age of children’s development is unique, and it’s okay not to be as interested in sports as the rest of the class. 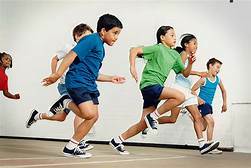 As a youth trainer, I hear from parents quite often that their child doesn’t like gym class or that they’re picked last for their class sports’ team. While I strongly suggest you explain to your child that their gifts outside of sports are precious, I do recommend finding an athletic activity that suits them. The younger years are important and vulnerable in the sense that this is the time to find what your child loves and what habits they’ll hold throughout their teen years. An activity (whether it be dance, boxing, personal training, or swimming) can assist in developing strong self-esteem and healthy lifelong habits. I’ve worked with many children, and I continue to see that when they engage in an exercise program, they’re empowered. They begin to notice their developing muscles, and they become quicker and agile. They even start to enjoy gym class! Sometimes, all it takes is for them to grow in an environment that is safe and encouraging. I’ve said it once, and I’ll repeat it: find an athletic activity that your child enjoys. The reward is so much more than improving in gym class. They form a positive association with exercise and grow self-esteem that will carry them throughout their whole life.